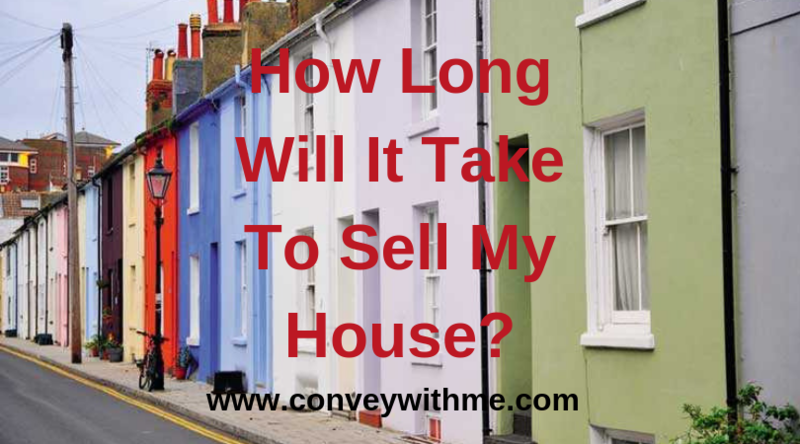 “How long will it take to sell my house?” is probably the question we are asked most as Conveyancers. The national average conveyancing transaction can take anywhere between 6-12 weeks. It can also be much quicker or slower than this, depending on many factors. It can be very difficult for a conveyancing solicitor to give you an accurate timescale. No two conveyancing transactions are the same, which is why it is so difficult for timescales to be agreed at the start. In order to speed up the process of selling as much as possible; we would recommend contacting a solicitor before you even put your property on the market, or if you are just about to. If you chose Convey with Me, we offer an amazing service, called Solicitor Ready. For no extra cost we can save you on average up to 2 weeks by having all the paperwork completed before you even find a buyer*. Once you have instructed a solicitor, they will open a file for you and send you the necessary paperwork. You should also inform your estate agents which solicitor you have instructed. As soon as you have returned the forms to your solicitor, a contract package can be prepared and sent to your buyer’s solicitors. At this point they will apply for searches, check through the contract and raise enquiries with your solicitor. Your solicitor will discuss any enquiries with you and will then respond to your buyers’ solicitors accordingly. Once your buyers’ solicitors have received all search results and their client’s mortgage offer (if applicable) they will then be able to obtain their clients signatures to the contract and request deposit funds. Exchange of contracts will take place when everyone in the chain is ready and all solicitors are holding signed paperwork from their clients. This makes the transaction legally binding. A completion date is set, and nobody can change their mind without incurring financial penalties. On the day you move, funds will be transferred from your buyer’s solicitors. When the funds are received, you get the keys and the fun begins! At Convey with Me we believe communication is key to keeping things moving and to ensure you move quicker. We give everyone more control which helps keep the property transaction on the move.